Phra Pita is known to bless wearer with protection away from harm but little do know that some Phra Pita also bless people with wealth and metta. 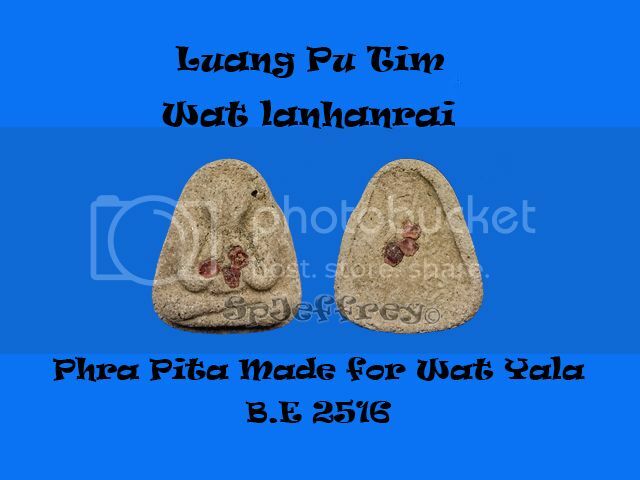 As most of Luang Pu Tim amulets are blessed with great metta and with great wealth too. A piece worth collecting and for daily wearing as it is the only Phra Pita among this batch that have been inserted with gems on it. 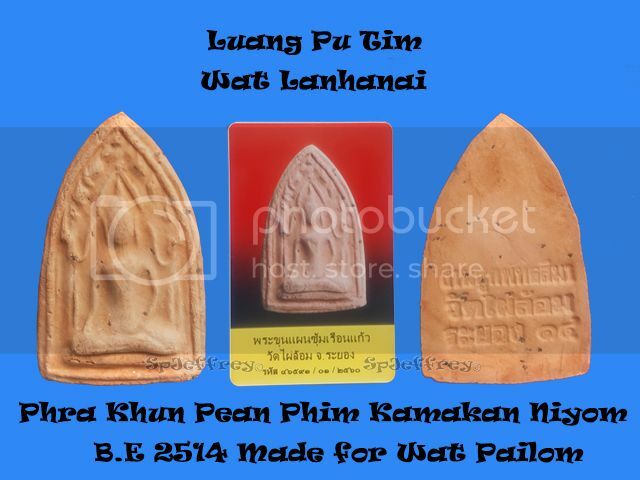 As Luang Pu Tim 's amulet is rising constantly , not everyone have the chance to own a piece release from Wat Lanhanrai, the best alternative is to wear amulet chanted by him and release to other temple as it is deem as effective too. Easy to see and hardly an fake comes around because of the affordable pricing, it is not worth doing fake. 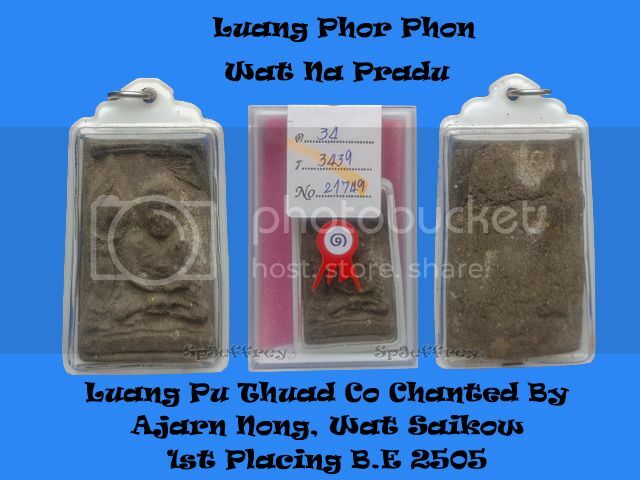 A beautiful piece of Luang Phor Pae bucha which can be place alone or together on your altar. Luang Phor Pae is known to bestow great metta and wealth to believer who sincerely pray to him. During Luang Phor Pae time, many who have faced financial difficulty did came to visit Luang Phor Pae for advice and blessing which one of the more memorial story is that a gold shop onwer who faced problem on his gold shop did visit Luang Phor Pae for a blessing. 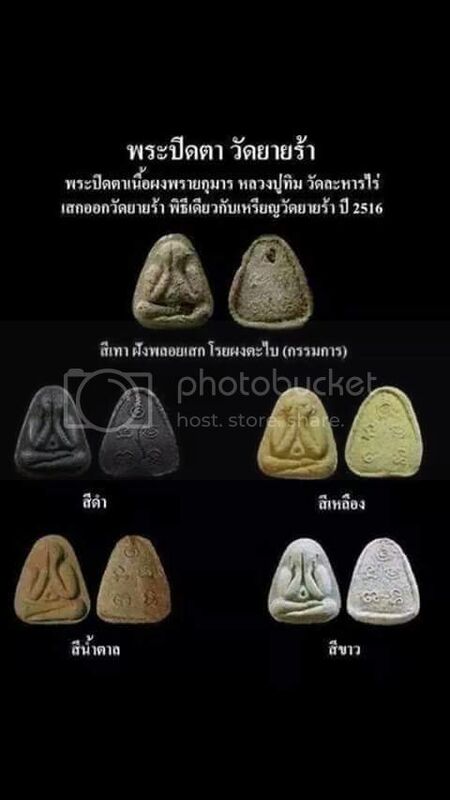 After which his business soar and he earned a lot and after which he offer to warp amulet in gold casing as a gift to Luang Phor Pae and for people to rent amulet with gold casing at temple counter price. Luang Pern of Wat Bang Phra is not only famous for his tiger and tattoo but he is highly respected as one of the top great monks of the ear. Not mainly because of his tattoo(sakyant) but for his Buddhistic incantation ability and ultra high Dhamma. 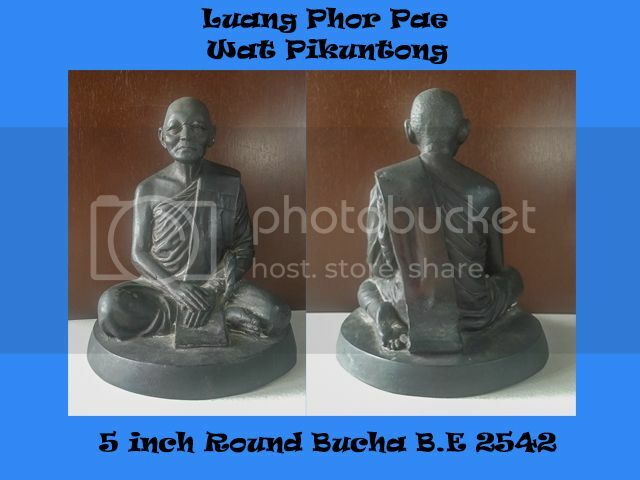 This beautifully made 5 inch bucha of Luang Phor Pern in colour is considered very rare and Luang Phor Pern is often bestow believers with prosperity. wealth, good relationship in business, luck and protection from accident and harm. Placing in at home or even work place is an excellent choice for daily blessing. 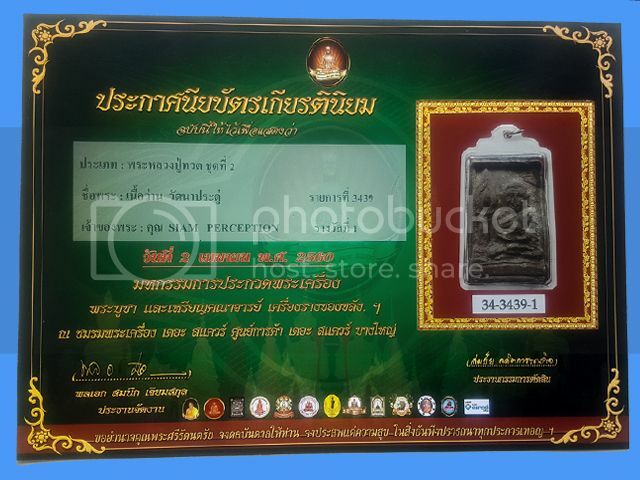 A piece not to be miss for Luang Phor Pern collectors! - Kampaengphet, Ayuttaya, Sukothai Suphanburi, Lop Buri, Pichit and many more provinces.